When it comes to choosing your window frames, it is like choosing the frame of your glasses or an evening dress: the purpose is to look good. 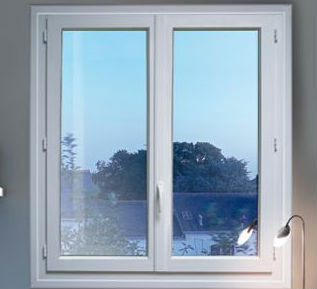 There are three main materials used for window frames’ construction: PVC, wood and aluminium. Here is a brief review on these 3 materials. If PVC is more common this is because it has many advantages. It is insulating, resistant and easy to clean. What more? Its price maybe? Yes it does provide the best cost performance ratio. Could PVC be perfect for your home? Perhaps you might say, but it has two drawbacks: aesthetically, the PVC is not the most interesting material. Also, it is not suitable for large windows, even if it sometimes can be reinforced with steel. However PVC window frames last a long time and can be recycled. Aluminium instead has a more ‘chic’ image, it’s more stylish. Perhaps because it is the finest “mount” and it offers the maximum of glass surface. Suddenly, aluminium is ideal for the larger sizes and sliding openings. Maintenance is also very easy. Nevertheless, the conductivity of the aluminium does not offer perfect insulation. Critics will undoubtedly emphasize its price level. An aluminium window costs on average 40-50% more than a PVC one. But this is the price of elegance, isn’t? Aluminium or steel frames are slim and long-lasting, and can be recycled. Once widely used, timber is nowadays no more than 13% of the market. Is it because of its more tedious maintenance? Of its higher price than PVC? Perhaps. But it remains nevertheless a material with some advantages. First of all, the timber shows good performance in terms of thermal insulation thanks to its low conduction. Some types of wood essence are more resistant to climatic conditions. You should prefer the wood for a window depending on the type of finish. Indeed, for opaque finishes (lacquer type) you should prefer hardwood to softwood, while for semi-opaque finishes (stain type) a tropical wood will be more appropriate. But the main asset, one that will make you choose wood and differentiate yourself from your neighbours, it is that this material has the advantage of being extremely customizable. It can take any forms and adapt itself of all colours. But, it requires more maintenance than PVC or aluminium for example. A key point to check when purchasing timber frames is that the wood has been properly dried, to avoid future problems of cracking or shrinking. The thickness, grain and straightness of the wood to be used also need to be taken into account, as these will affect the double glazing window’s strength and resistance to distortion. Choose your wooden window frames from certified, sustainable sources. As always, mixed solutions exist, which will allow you to make the best of each material. You may well choose an opening with a wooden structure, for insulation and aluminium facing that will facilitate the maintenance. 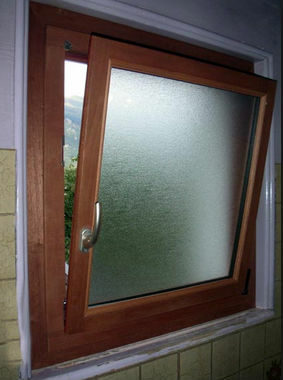 The insulating performance (thermal and acoustic) of the wood-aluminium window are therefore excellent. 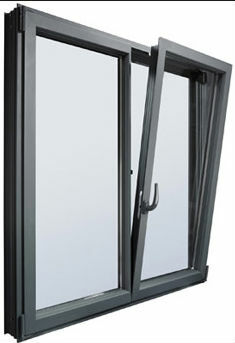 In the case of a mixed PVC – alumunium window, the window has the performance of the PVC and the aesthetics of aluminium. If you need further ideas for your windows why not look at our article on the best interior design blog and websites – view it here. This article was posted in General. Bookmark the permalink. Follow comments with the RSS feed for this post.Post a Comment or leave a trackback: Trackback URL.